I’m participating in another organized convention swap, this one is a lot smaller just 20 card fronts. I used a couple of new products from the upcoming Holiday catalog, the Winter Frost Designer Series Paper Pak and I embossed the Gray Slate card stock using the Stylish Stripes Textured Impressions Embossing Folder. 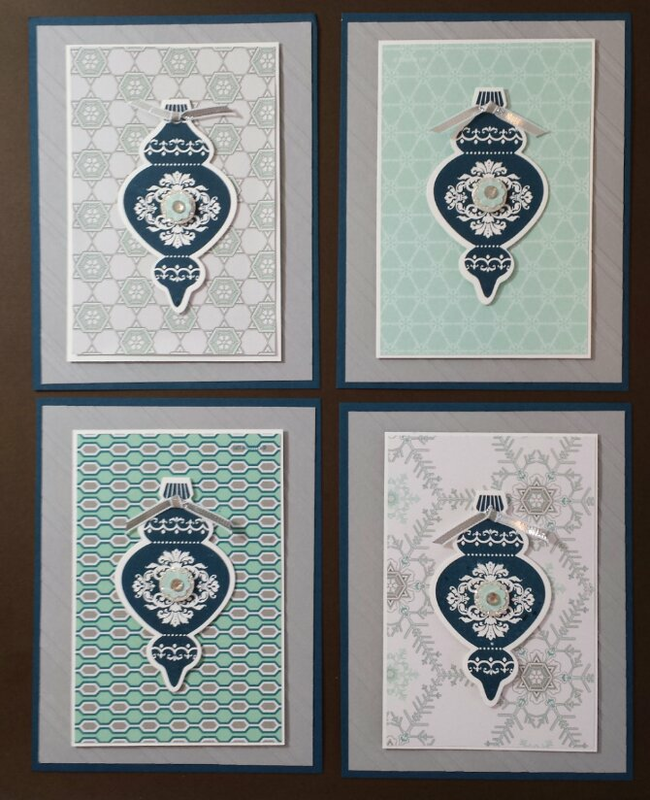 The ornament is from the Ornament Keepsakes stamp set and framelits set. I’m really glad it carried over from the previous holiday catalog. Well now I’m off to continue packing, last minute shopping and hopefully more swaps!